Get moving with Musical Squares. The combination of gross motor skills and cause-and-effect understanding will enhance motor planning skills. A slimline design, the Musical Squares combines gross-motor movement with cause-and-effect understanding using fabulous sound quality, bright colors and enormous flexibility. 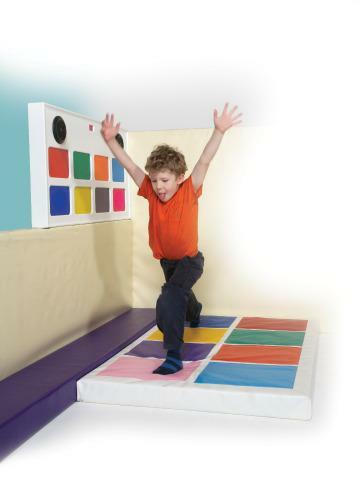 Musical Squares is a great addition to any sensory room or by itself in an active sensory play area that will keep you happy and active for hours on end. 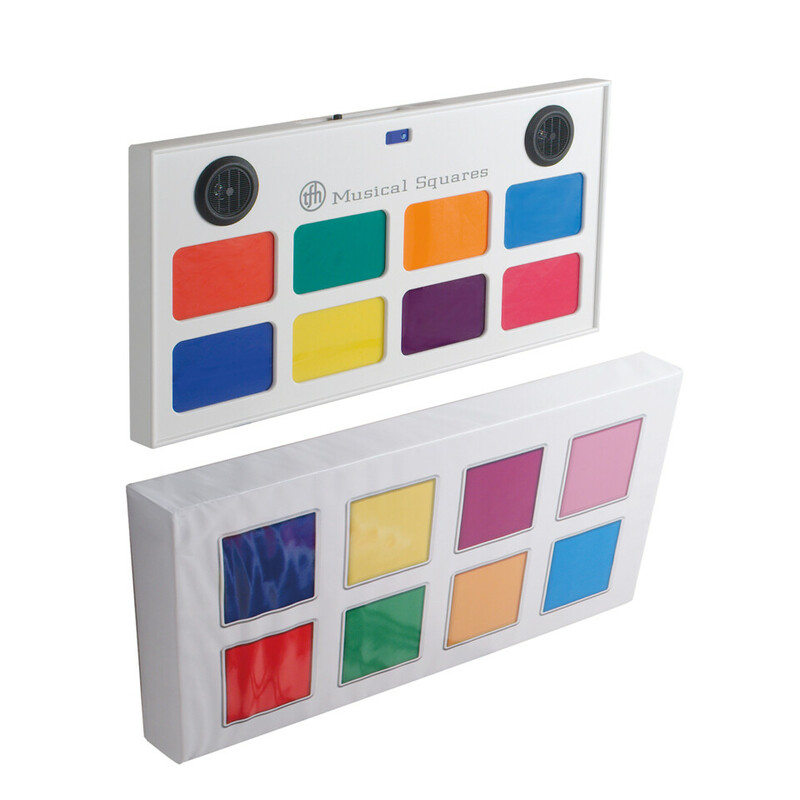 Our movement sensitive Musical Squares enables you to make noises from one touch. There are plenty of noises that can be activated and will keep you entertained. NOTE: Users must be at least 60 lb. to activate the Musical Squares Floor Pad. This is a Truck Shipment. Loading dock or Liftgate/Inside Delivery necessary to receive shipment. Please contact customer service at 800-467-6222 for a quote. Dimensions: Floor Pad - L: 56" x W: 36" x 4", Wall Box - L: 38.5" x W: 32" x H: 4"